Keto Low Carb Mini Cheesecakes | Keto Recipes! 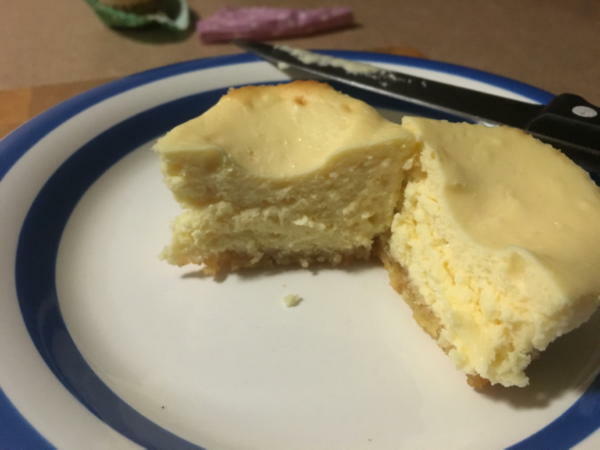 These low carb cheesecakes are amzing and a perfect sized little treat when you are dying for something to kill those sweet tooth cravings. Try not too eat too many! These babies are 200 calories a pop! I find they taste just like real cheesecake if you use lemon juice. Adds a real zest and makes it much more enjoyable. Mix the cream cheese, eggs, SweetLeaf, and vanilla extract all together until smooth (Sunbeam Mixer works great) and spoon into the Cupcake Baking Cups. Bake for 15-17 minutes or until the center has started to set. Let cupcakes sit for 5-10 mins to cool, Then refrigerate for 8 hours. Each Cheesecake is approx 209 Calories, 20g Fat, 3.5g Carbs, 4.9 Protein.